Our mission is to provide cost-effective, expertly installed plantation shutters and blinds with a down-to-earth approach. to help you choose the shading solution that’s just right for you and your window! The business really just evolved! We had a small workshop where we would sketch an idea, take some wood and turn it into something useful, we simply enjoyed it. Over time, enquiries would come along, so we went along with the flow. Soon a bigger workshop happened, then a bigger one, next thing, we had a factory! That was fifteen years ago and looking back, it seems a bit surreal. One week we were making a coffee table for the next door neighbour, the next we were re-creating the interior of a French chateau for Barker and Stonehouse. Carpentry, furniture design and all things interiors have always been something of a passion. Perhaps this is why the Plantation Shutters have been with us through our journey and remain with us to this day. They encompass all of the elements that we as a company are inspired by and believe in. Every application is different; the proportions, style, colouring, look and finish creates a unique addition and feel to the home. A local family business then and now that believes in ethics and the importance of the customer experience. We’re now the longest serving plantation shutter company in the North East, but we still hold on to the spirit and beliefs that we began with: be genuine and focus on quality. 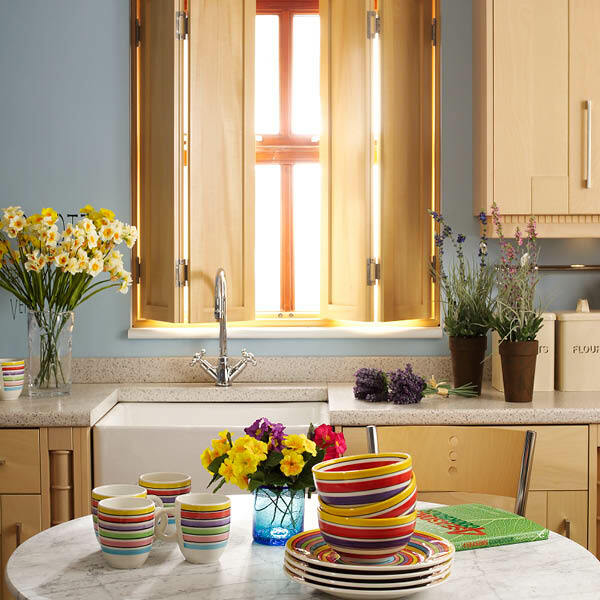 We’re not saying we are perfect, but when it comes to designing and installing shutters, we don’t think there are any better! With shading to protect from heat-gain, heat-loss and glare. Ready for a FREE, no obligation quotation?